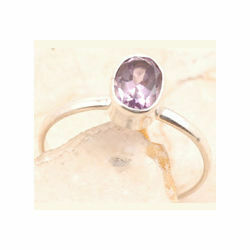 Offering you a complete choice of products which include silver rings, flawless lolite ring, peridot ring, classic amethyst silver ring, amethyst ring and black rutilated quartz ring. 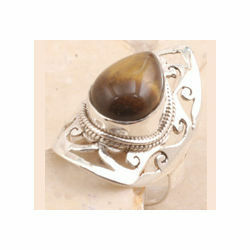 Our company has gained wide spread reputation in the field of manufacture and export of Silver Rings. 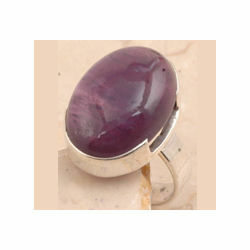 These silver rings are manufactured by using supreme quality raw materials which are sourced from authentic and reputed vendors of the industry. Further, these undergo smooth finishing and have excellent quality. 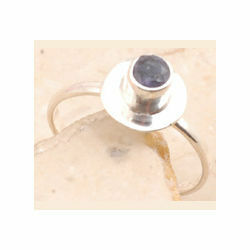 To add on these silver rings are available at leading industrial prices. 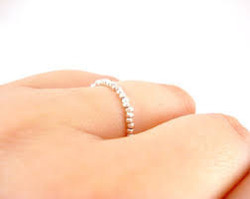 This design is simple and classic and can be worn by women of all ages. 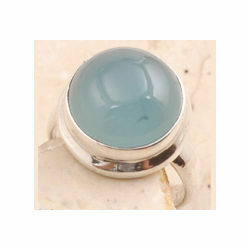 Blue Chalcedony Ring are made of sterling silver and blue colored chalcedony stone, this ring will enhance the beauty of any woman's hands. 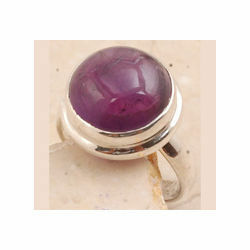 It is ideal for wearing everyday or on formal occasions ,given its classy and simple design. 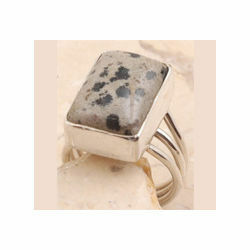 It is highly durable and will remain a part of one's collection for a long time. 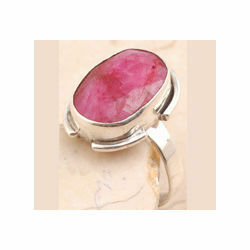 Dyed Ruby Ring is a chunky design ideal for those who share a liking for statement jewelery pieces. 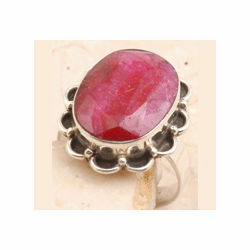 It comprises of a large oval shaped dyed ruby stone encircled by an intricate design created using sterling silver. 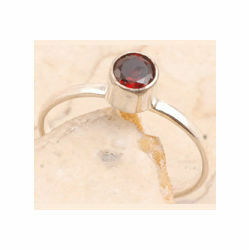 The stone utilized is authentic and will not lose its sheen. It is an attention catching piece. 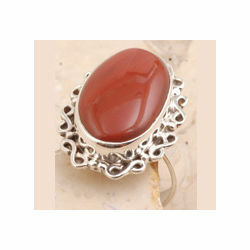 Posh Red Jasper Ring comprises of a large sized,oval shaped red jasper stone encircled by an intricate design in sterling silver, perched on a plain silver band of medium thickness. 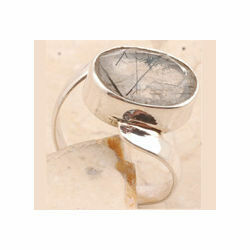 This is a striking design that is apt for formal and occasional wear. 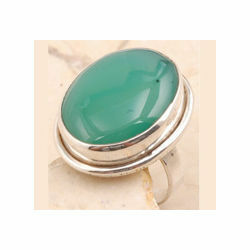 It is a bright,attractive and yet classy design that will catch the fancy of a lot of women. 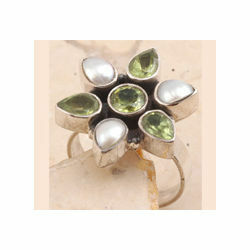 It is a timeless piece that is ideal for gifting purposes. 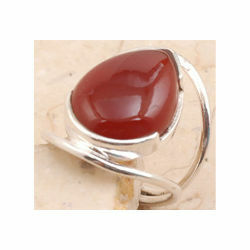 Priceless Red Onyx Ring is a contemporary design created using teardrop shaped red onyx stone and a sterling silver band in a complicated design. 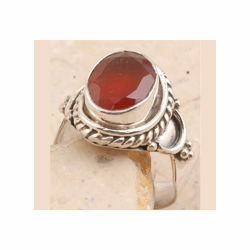 The stone used is authentic, of a good quality and its color is a brilliant shade of red. 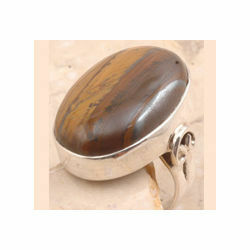 The design is unique and funky and is likely to be adored by a large number of women. It is reasonably priced and available in multiple sizes. This classic teardrop shape stone earring has been designed for occasional wear and can be teamed up with a variety of outfits. 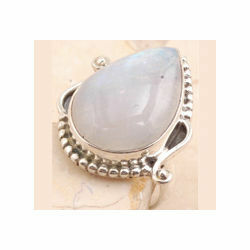 Rainbow Moon Stone Ring is in sync with traditional Victorian jewelery designs and serves as a statement piece that catches the fancy of many. 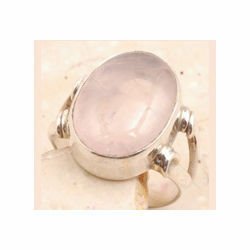 We have created this exclusive piece using sterling silver and authentic pink colored moonstone. 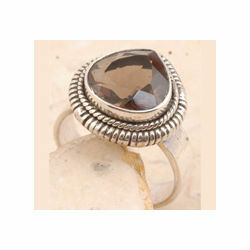 Smoky Quartz Proud Ring comprises of a classic teardrop shaped smoky quartz stone encircled by an intricate design in sterling silver, perched upon a simple sterling silver band. 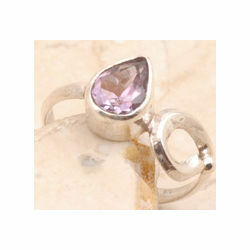 This is a timeless, classy piece and can be worn along with a variety of outfits and on a variety of occasions. 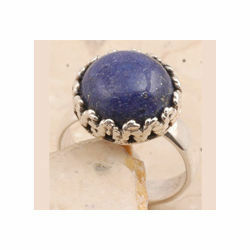 This ring has a universal appeal and will look good one anybody. 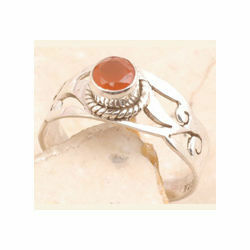 Our organization is involved in offering Sterling Silver Rings. 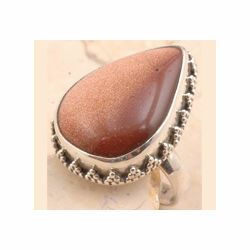 These are offered in various sizes shape and colors. 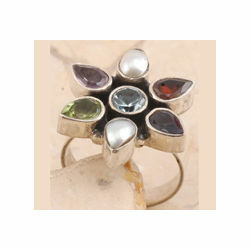 Our Sterling Silver Rings is eye catching. 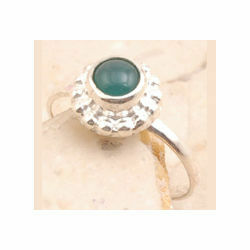 We are the leading manufacturer of Sterling Silver Rings, our customer can avial this Sterling Silver Rings at reasonable price. 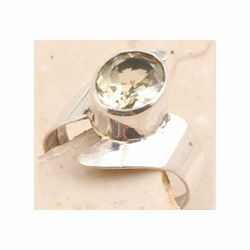 We are a leading Manufacturer and exporter of Plain Silver Ring. Giant Sun Star Ring has been manufactured using duo-chrome sun star stone in the classic teardrop shape perched on a classic, elegant, sterling silver band. 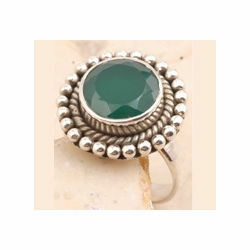 This is a classic Victorian era jewelery design that has a universal appeal and will be fancied by a large number of women. 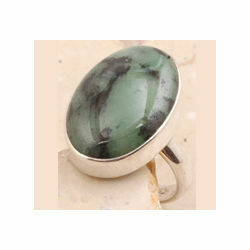 The stone is authentic and has been sourced from trustworthy suppliers only.